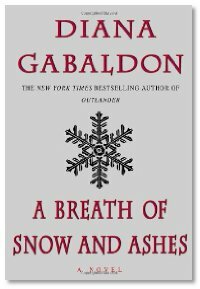 A Breath of Snow and Ashes by Diana Gabaldon. Spotted Lily by Anna Tambour. We love our local Authors. First this week Diana Gabaldon drops by the studio to tell us about her book A Breath of Snow and Ashes. Next up is Anna Tambour, telling us about Monterra's Deliciosa & Other Tales and Spotted Lily. A collection of short fiction that our own Summer enjoyed. No Library segment this week. Instead we tell you about a few of the films that we reviewed for The Scottsdale International Film Festival. Tune in for the fun.